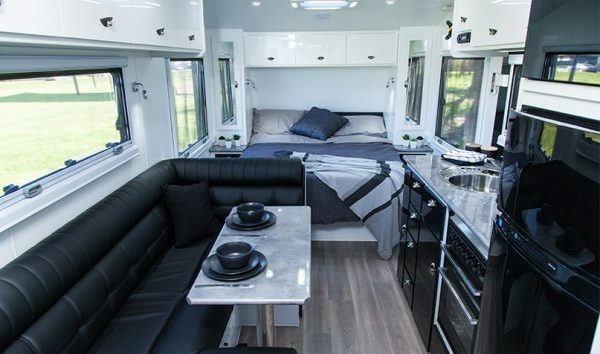 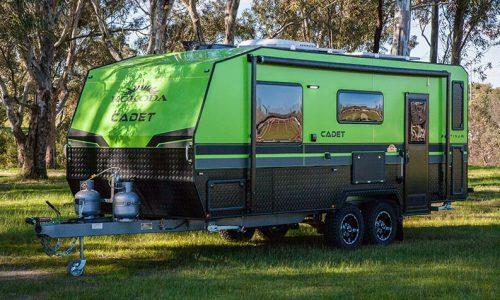 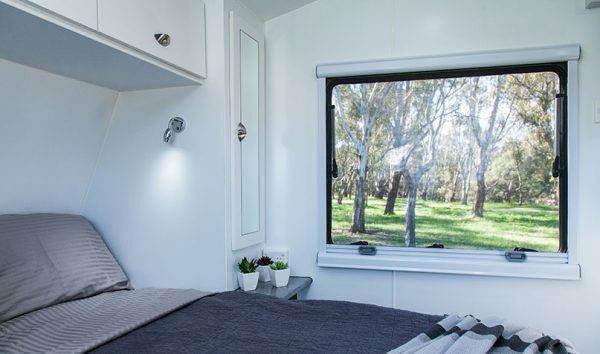 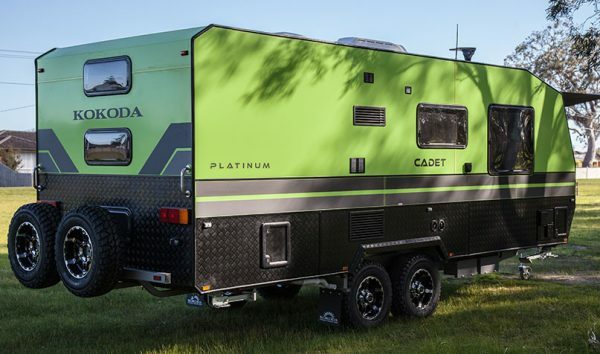 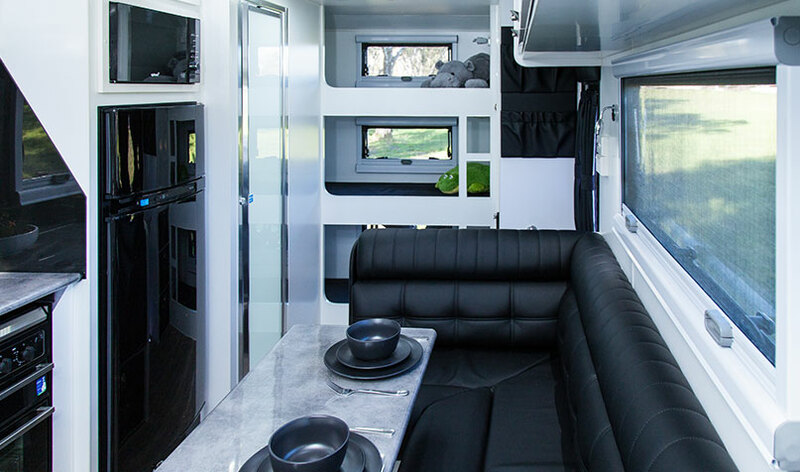 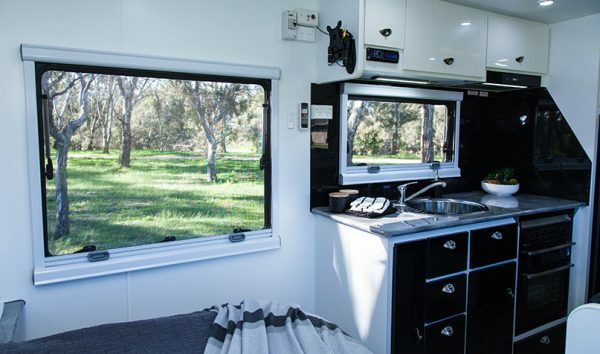 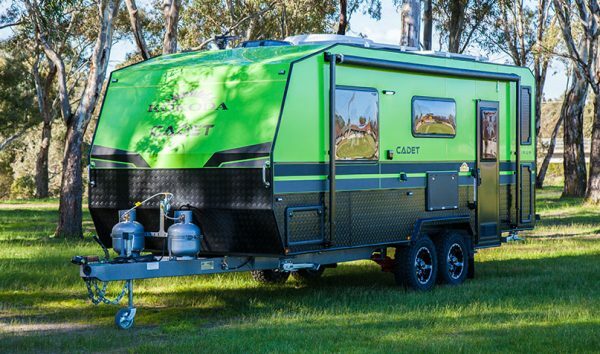 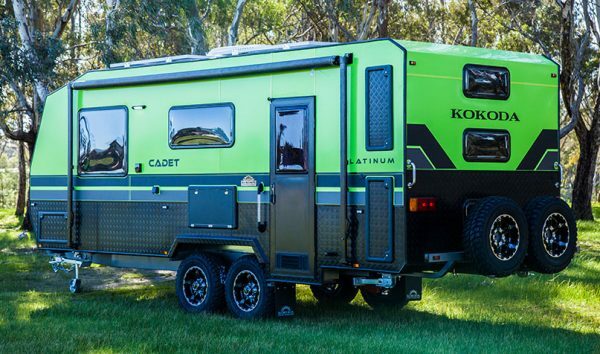 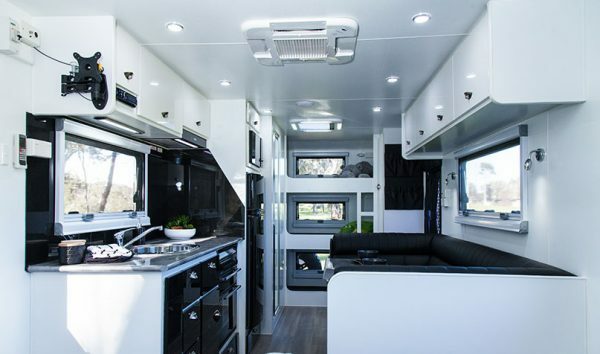 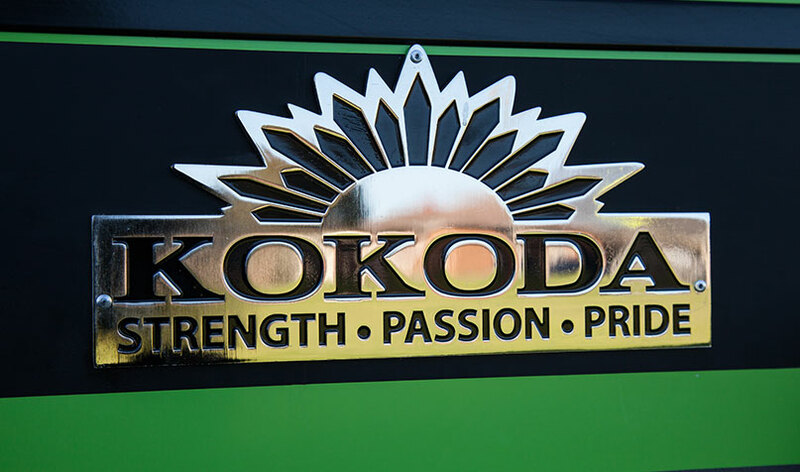 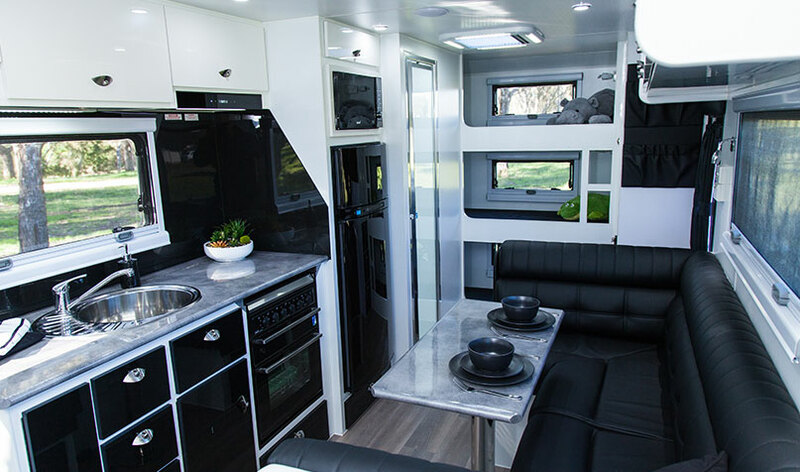 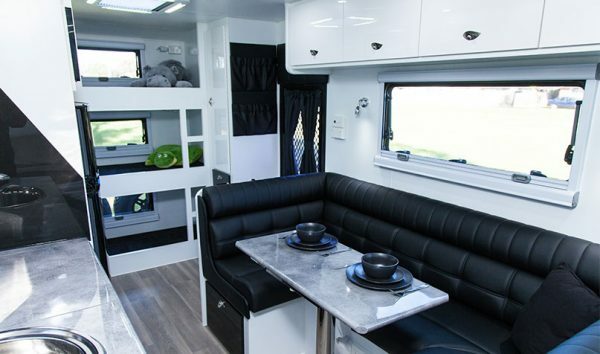 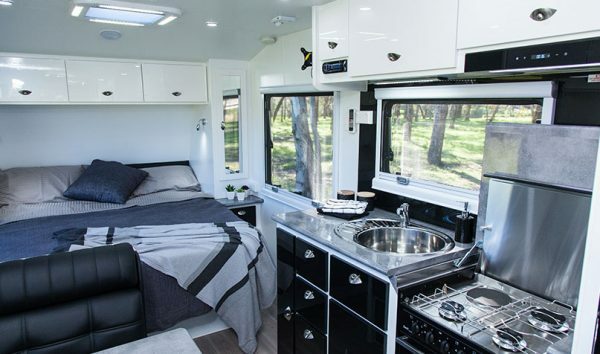 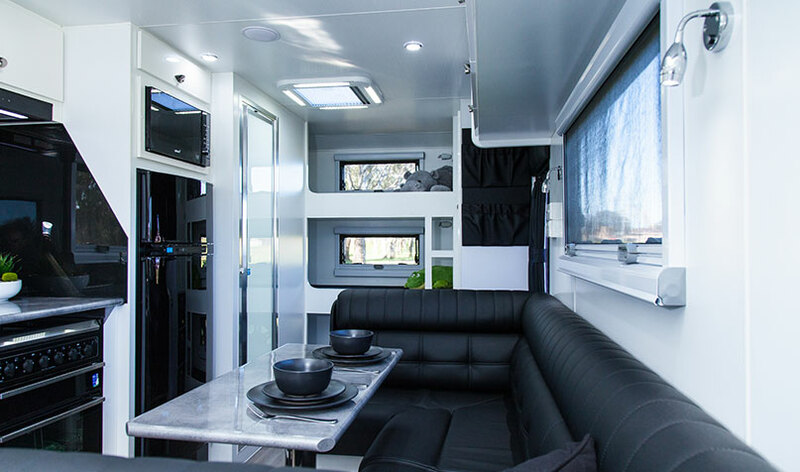 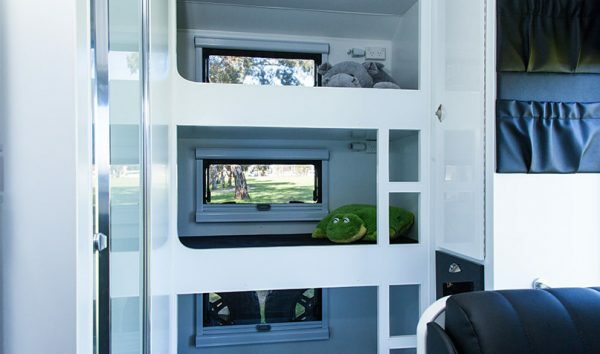 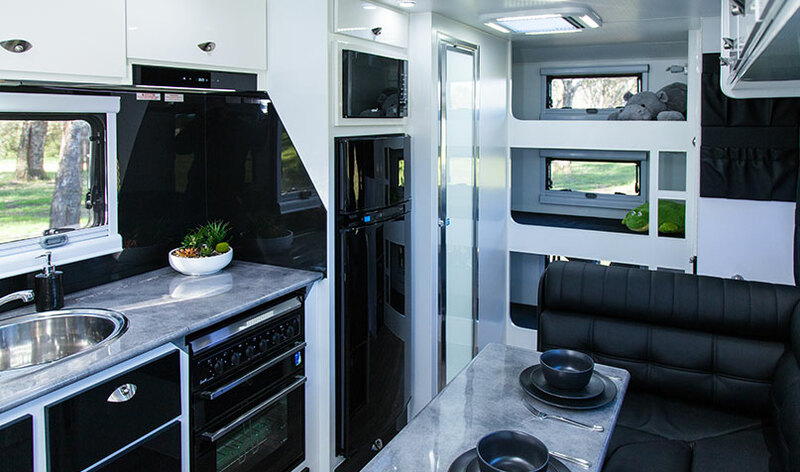 From the outside the Kokoda Cadet Platinum is impressive, sleek, tough and exciting. 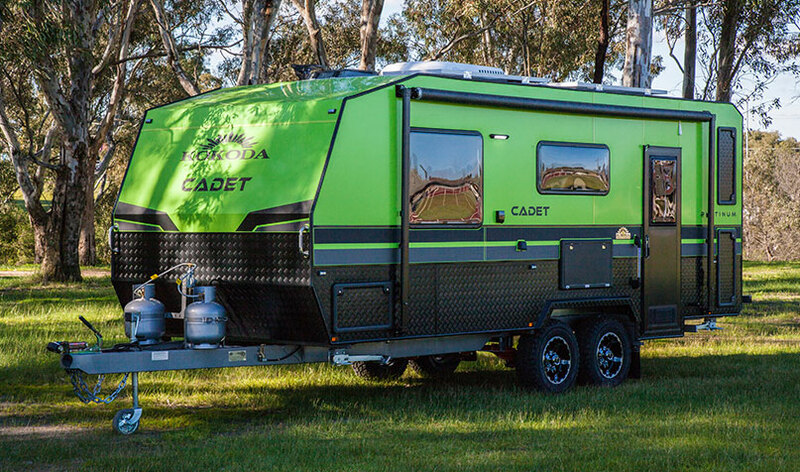 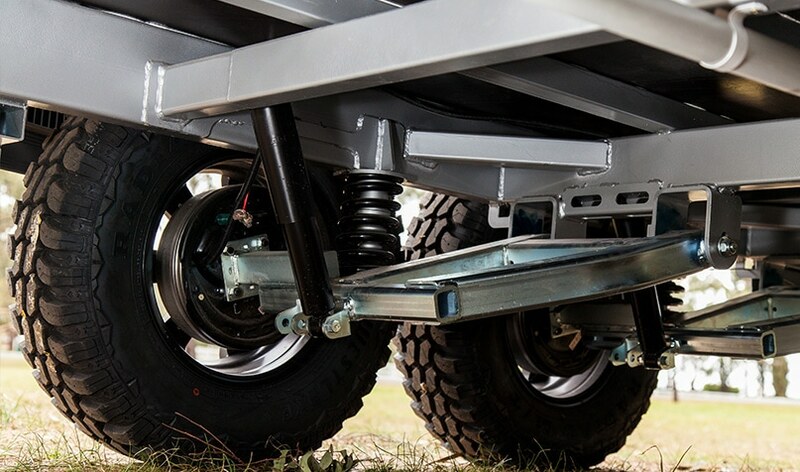 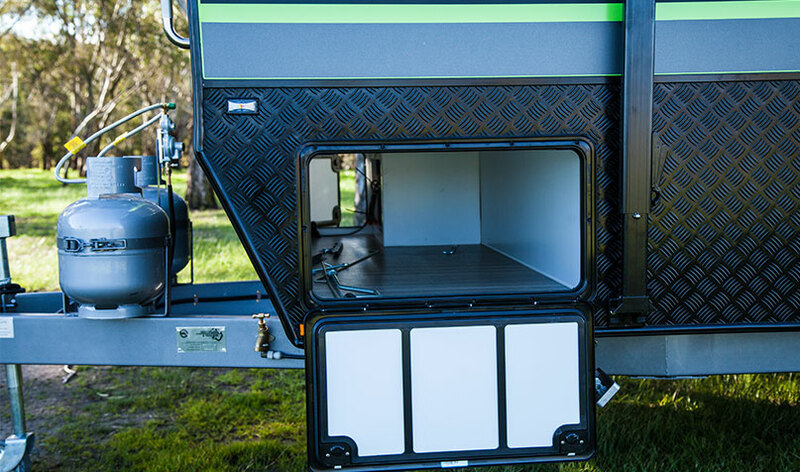 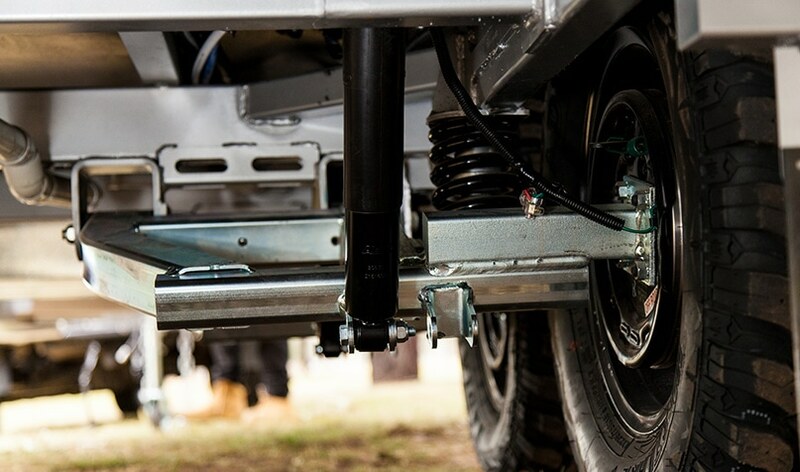 SEMI OFF-ROAD CAPABILITIES Apart from the coloured exterior the Cadet Platinum comes with two solar panels, semi-off road suspension, checker plate protection and stone guards for added semi-off road capabilities. 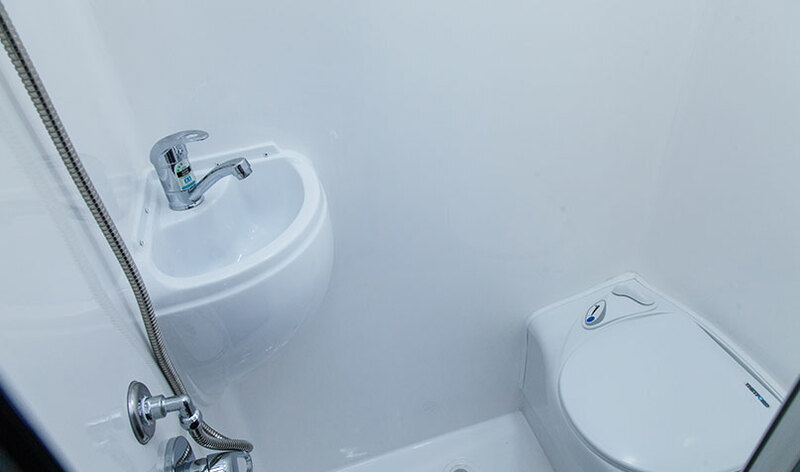 It also boasts a front tunnel boot, gas bayonet and a fold-out picnic table. Gather the family and allow the Cadet Platinum to take you on the adventure of a lifetime. 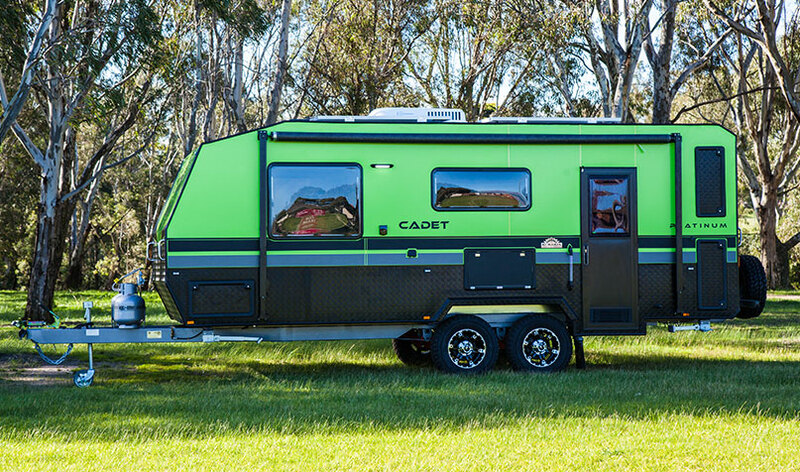 Colour your world!